The development of a new life is a spectacular process and represents a masterpiece of temporal and spatial control of gene expression. Developmental genetics studies the effect that genes have in a phenotype, given normal or abnormal epigenetic parameters. The findings of developmental biology can help to understand developmental abnormalities such as chromosomal aberrations that cause Down syndrome. An understanding of the specialization of cells during embryogenesis has provided information on how stem cells specialize into specific tissues and organs. This information has led, for example, to the cloning of specific organs for medical purposes. Another biologically important process that occurs during development is apoptosis—programmed cell death or "suicide." Many developmental models are used to elucidate the physiology and molecular basis of this cellular process.The development of life is a surprising process and is regulated under control of a series of temporal and spatial gene expressions. Developmental biology focuses on the study of the process. In animals, developmental events can be found in embryonic life, regeneration, asexual reproduction, metamorphosis and so on. The main processes of embryonic development include cell differentiation, growth, morphogenesis, regional specification and the overall control of timing. In plants, developmental events are found in embryos, vegetative reproduction and growth of roots, shoots and flowers. Thus Developmental biology study is associated with other fields such as genetics, cell biology and molecular biology and they promote each other. Results of normal developmental biology studies can help to solve and understand some problems. For example, knowledge of apoptosis process helps to design cancer therapeutic strategies. 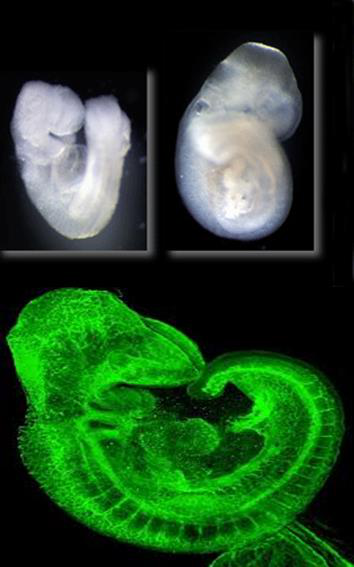 The study of animal developmental biology can help create kinds of animal models to research human diseases and explain the physiology and molecular basis. The studies about risks from substances also help protect the fetus from damages. The cloning of organs for medical purposes is a result of specialization of cells during embryogenesis. Creative-Biomart is able to provide amounts of developmental biology related molecular tools for developmental biology studies.